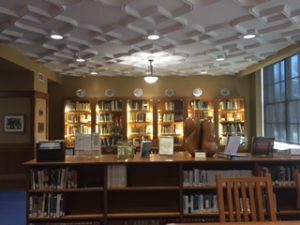 The Michigan Room, located in the north wing of the Charlevoix Public Library serves patrons who are interested in material of literary, cultural, scientific, and historical significance to northern Michigan. The Charlevoix Public Library has been involved in two projects in the last ten years that preserve the stories of Charlevoix’s past. Charlevoix Oral Traditions focused on video recording thirty Charlevoix elders, most of whom were veterans in 2008. We recorded hour long interviews with people and asked them to tell their stories, both in the armed services and in their life in Charlevoix. Then in 2016, we interviewed twenty-four more people and asked them to share their history of Charlevoix. These first-person narratives are an invaluable asset to the community. They tell the stories of our past from the people who lived them. —-The DVDs for these two projects are located in the Michigan Room at the library. —-The Charlevoix Oral Traditions 2008 and Charlevoix Oral Traditions 2016 recordings may also be viewed online. Rare and out-of-print books relevant to this area of Northern Michigan. Includes fiction, non-fiction, biographies and juvenile fiction. Yearbooks from Charlevoix High School and Northwest Academy. Microfilm: Federal census records, 1870-1930, Charlevoix Sentinel, 1869-1934, Charlevoix Journal, 1883-1890 and the Charlevoix Courier, 1908=present. Earl Young, an artist and builder in Charlevoix, Michigan, designed dozens of unique structures, using native stone. These buildings annually draw many visitors to the community. Included are interviews with local veterans, community activists, summer residents and business owners, video-graphed in 2007 and 2016 by Pierpont Productions. This collection is available online or the DVDs can be checked out at the library. Jim Annis, artist, painted numerous scenes of Charlevoix, Michigan, as well as game fish and ducks, earning several awards. His nostalgic works of theaters, ballparks and depots are known world wide. Bob Miles, photographer and historian, gave Charlevoix Michigan the irreplaceable gift of photos of its people and events. This legacy is carried on by the collaboration of the Library and the Charlevoix Historical Society. In 1958 longtime resident artist Rosa Nettleton died at age 89. A native of London, England, she came to Canada as a young woman and to Charlevoix in 1891. Her artistic works included oil paintings of early Charlevoix harbor scenes, beautifully costumed Victorian women, still lifes and portraits. She also wrote poetry. 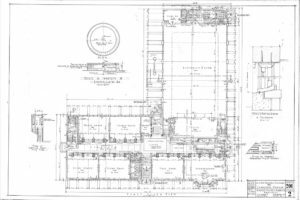 In the 1920s and ’30s she gathered a group of local women to meet as the Tuesday Study Club to discuss current topics and to prepare programs. Their presentation of the history of costumes, dressed in period pieces, was legendary. She handcrafted and painted over 100 wooden figures depicting the history of fashion. These little statues were on display at the library for 27 years and were transferred to the Charlevoix Historical Society in 2000. Civil War Historians, Re-enactors, Enthusiasts! The Charlevoix Public Library houses the complete collection of the War of Rebellion Official Records of the Union & Confederate Armies. In addition, we have 8 volumes of the Collected Works of Abraham Lincoln, including index and supplement. Plan a trip to Charlevoix to take advantage of doing primary research using this wonderful collection of Civil War documents.